INVOICING | Synconics Technologies Pvt. Ltd.
bill timesheets and get paid faster. Create customer invoices: Bill automatically based on sales orders, delivery orders, contracts, time or material and create professional invoices in seconds. Print or send by email: Print a hard copy of your invoices to send them by post or automatically send by email as a PDF attachment. Issue refunds: Create credit notes and manage reimbursements. 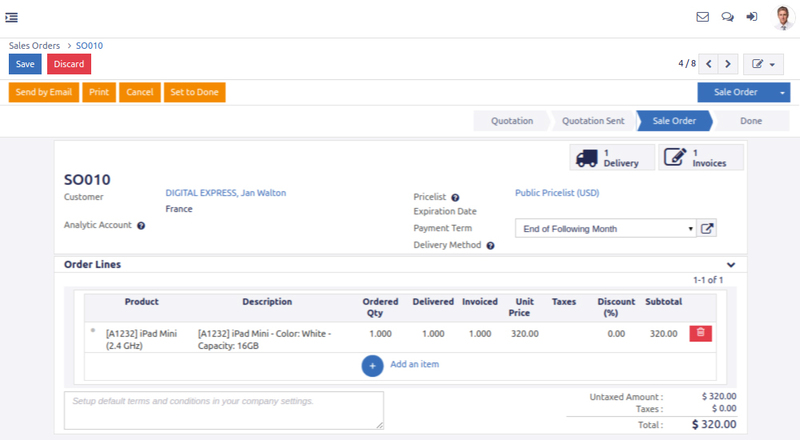 Multi-company rules: Automatically mirror orders and invoices in multi-company setup (Create a sales orders in company A and automatically ERP generates a Purchase Order in company B). Manage supplier invoices: Record supplier invoices in the system to manage payments and integrate them into accounting. Handle recurring invoices: Set the frequency of invoicing for products in accordance with contract specifications. Include Incoterms: Use Incoterms standards to make sure you have the right terms on your contracts. 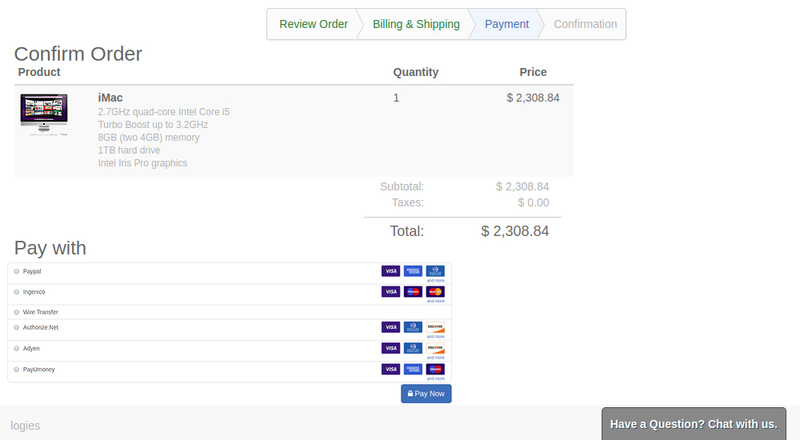 Customers payments: Manage payment terms, Batch deposit available. 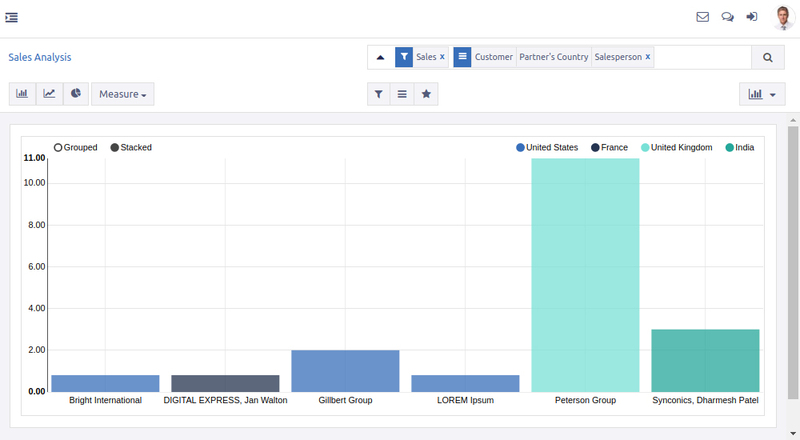 Customer Statements: Manage the follow-up from a single simplified interface. Multiple currencies: Allow customers to pay in their currency with an automatic currency converter. Record gains & losses for each conversion. Get paid online: Send your invoices by email and add a link to Authorize.net, Moneris, Paypal, Ingenico, Buckaroo or Adyen to get paid quickly, easily and securely. Automate follow-ups: Eliminate the hassle of sending reminders for late or outstanding payments. Automated follow-ups are simple to configure and help to streamline billing to make payments quick and easy. Currency rate: Automatic update of currency rates base on a chosen frequency: daily, weekly, monthly. Payments: Sepa payments. Check printing in US format. Invoices overview: Get a broad view on all invoices and filter them by status. Full accounting reports: Get complete reports for journals, legal statements, chart of accounts etc. Analyze your sale: Make your own definition and analyze your invoicing by product, customer, salesperson etc. Automated tax reports: Set up your tax rules to automatically calculate them in your invoice and define where roundings occur to get accurate reports.